I just Googled OER. I didn't realize that OER and SK were one in the same. Now correct me if I'm wrong, are these not interchangeable parts wise with Webbers? Or is it just the jets that are interchange? OER 45mm indeed. Kameari Engine Works supplied me the whole set. They are a Weber copy, main jets, emulsion tubes, air jets, idle jets, pump jets and ventures are identical which will make tuning easier. OER has an external float level adjustment which I believe Weber doesn't. 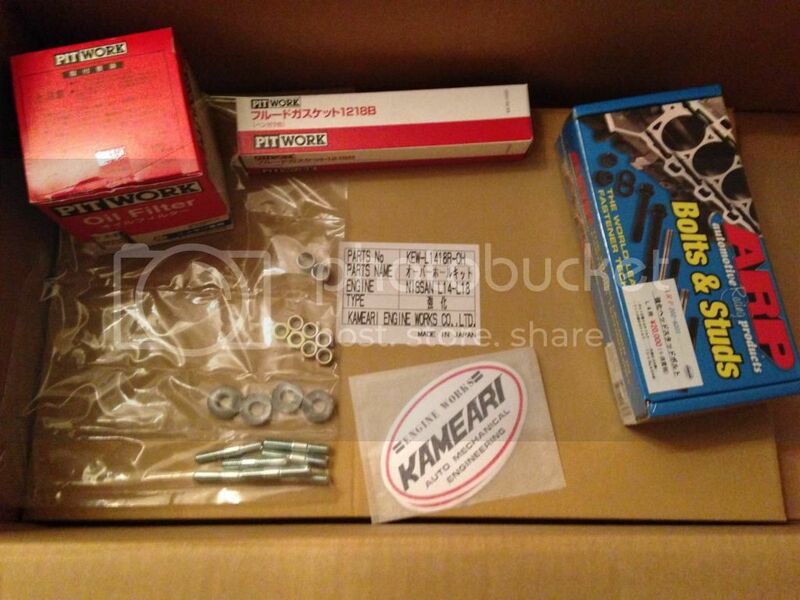 I've been shopping with Kameari Engine Works again today. Now I need to find someone in the UK who can help with the rebuild. randywanger wrote: I've been shopping with Kameari Engine Works again today. Now I need to find someone in the UK who can help with the rebuild. After visiting Kameari, you must mean rebuilding your bank account, right? yes, that too. They are very helpful though and the quality looks amazing. Worth paying a little extra for decent service. I've found someone who I trust with the engine, heading over this weekend to deliver the head for an inspection, measure up and refresh, hopefully it doesn't need too much work. Slow progress, but progress none the less. Small update for those that are interested. The engine is apart and I finally know what I'm working with and more importantly where to go from here. Most components look reusable, the cam will have to be changed, I'm going for bigger exhaust valves (think mine were 35mm and we're going to push it to 37mm) and then some porting. 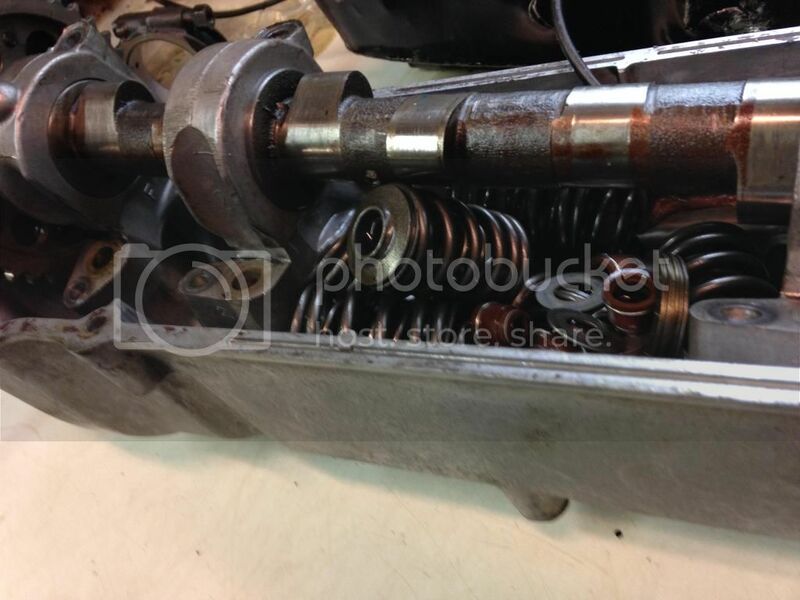 Bottom end looked in good shape, no signs of overheating, crank is fine, rods look new. 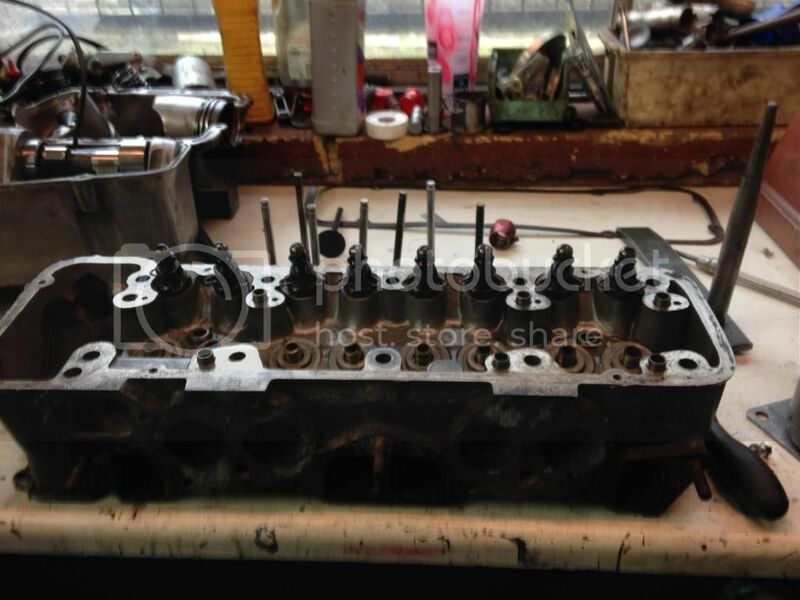 The block and the pistons have been getting a bit too close for comfort, not sure why, either the machining wasn't correct, the pistons are cheap and have expanded or some other reason but there is definitely signs on wear. I'm pretty sure I can get away with it though, light hone, new rings and run it how it is. Looking for input and opinions on this, it may seem like a false economy but finding an L18 block in the UK will be next to impossible. Even here on the west coast of North America where these cars were the most popular, an L18 is hard to find. 2 years only of production, where the L16 saw 6 years, and the L20B for 5 years in a wider range of models. The blocks can be bored to +2mm with no reliability issues. It’s published that race guys went to +3mm, but started to see cylinder warpage over a season. Personally I’ve built =2mm motors without any long term issues. Just something to gauge what you have. If the piston/bore combo is used as is, there will certainly be some oil consumption and loss of cylinder pressure with the scoring present. 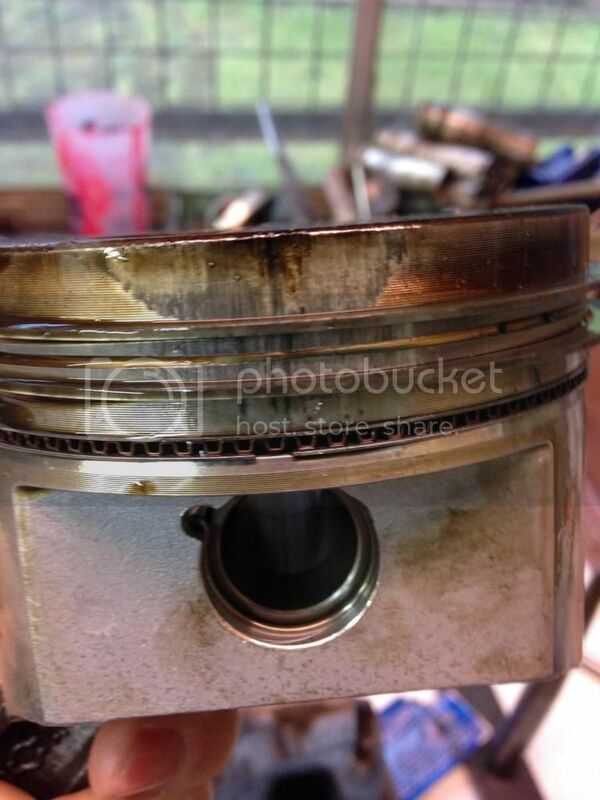 If your pistons are special, I could see why you'd not want to change anything. But if they are standard cast OEM pistons (which are the same bore size as the L20B), I'd encourage you to change them as there are still lots of piston/ring combo's out there that are really affordable. Do it one, and you're likely done for good. Some additional comments, I find it very curious that the scuffing on the piston (that is shown), is in line with the pin. Usually it is inline with the throw of the crank (piston rock). So some questions, are all the pistons like that? 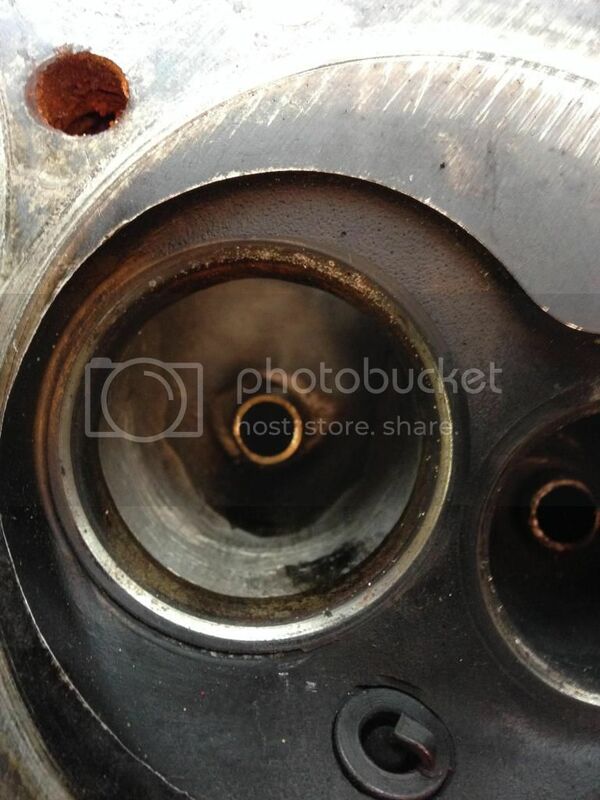 If it is only on the one that is shown, I the say the that rod might be bent or the modification to use the floating pins was machined wrong (not parallel to the big end) Some further pictures on all four quadrants of that piston would be helpful. Just reminder that in Europe L18 was much more common that L20B, european markets L18 was available 1972-1985 at least in models like 610,810,910 and 720, so finding L18 at UK should be possible. Here in Finland L20B was not available in any model, maybe in UK but i think it's quite rare there too. Last edited by MK510 on 23 Feb 2015 13:48, edited 1 time in total. 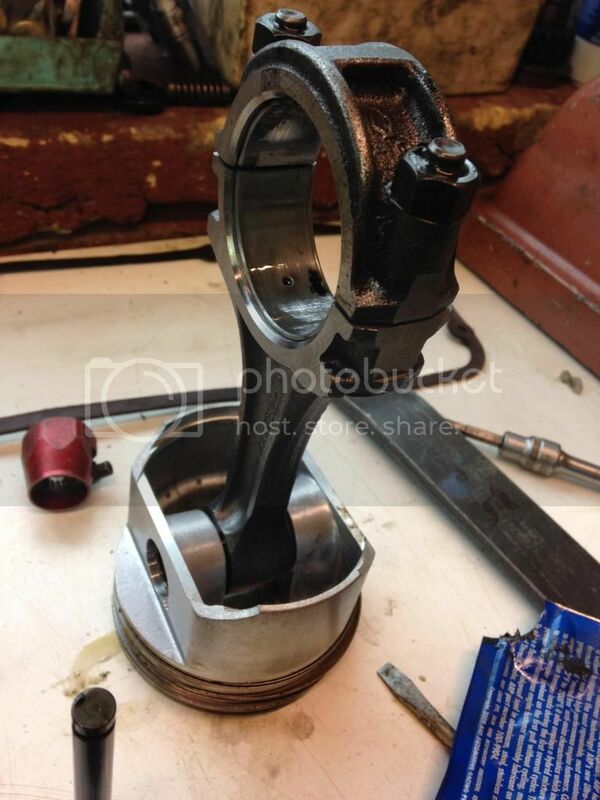 510wizard wrote: Some additional comments, I find it very curious that the scuffing on the piston (that is shown), is in line with the pin. Usually it is inline with the throw of the crank (piston rock). 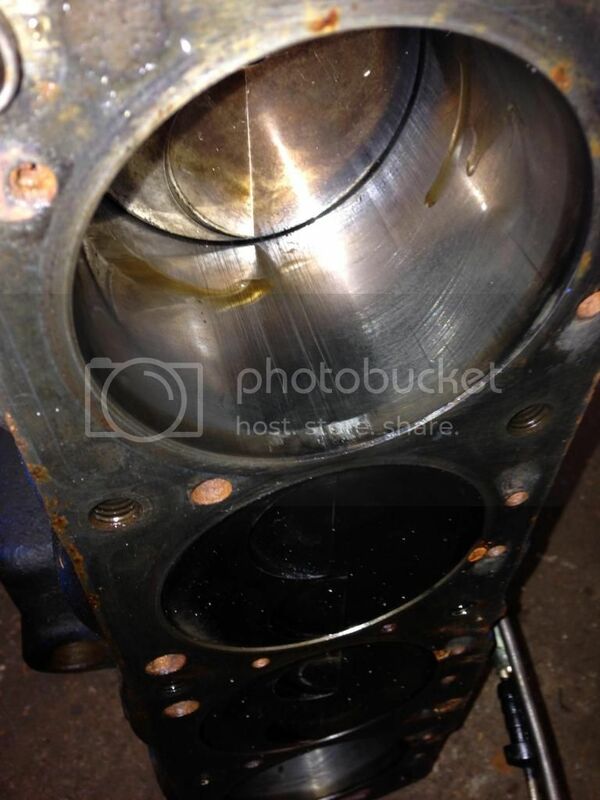 So some questions, are all the pistons like that? 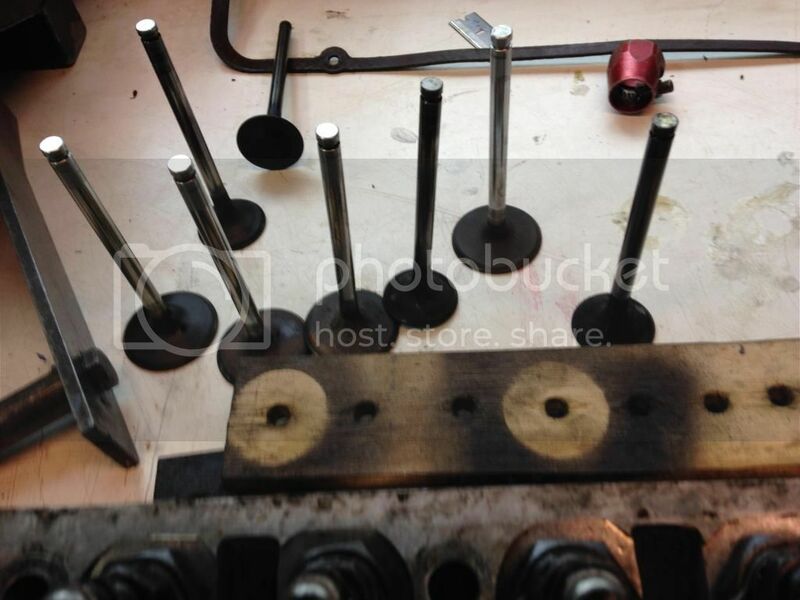 If it is only on the one that is shown, I the say the that rod might be bent or the modification to use the floating pins was machined wrong (not parallel to the big end) Some further pictures on all four quadrants of that piston would be helpful. All comments welcome, I'm still learning here. All 4 are like that, my engine builder was scratching his head too, he said the pins 'aren't how he'd do them' but I wasn't sure what he meant, floating pins with retainers when they shouldn't? I should have listened more closely. but might tie in to what you said. I'm waiting for a full report from him once he's finished his inspection and everything measure up. What spark plug was in there? Just in looking at the colour, the engine ran rich. It may have idled for a long time before it was last shut off, but, generally it looks like it was over all too rich. I recommend NGK brand spark plugs, likely a BP6ES to start the motor with, and then see how it looks. Then, you will put in a COLDER plug when you start to beat on it and go from there. The next colder plug would be a BP7ES plug. If you can only get BPR#S,,,the R meaning Resistor. I have had no issues running the resistor plugs in my motor, along with NGK wires. You want to run as "hot" a plug as possible, without the end of the insulator getting close to glazing. NKG spark plug range for our motors..BP5ES through to BP9ES. They did make a BP10 for the bike guys but I'm not sure that they make that any more.I run either a BP8ES or 9 for our road trips, and a BP7ES when I know I am going to be in a lot of traffic or just farting around. ...remind us again, what pressure plate was in there before? ...how do the thrust faces look on collared mains? ...what is the as-ran thrust clearance on the crank? If all 4 pistons are scrubbed on the thrust face (and the anti-thrust face), coaxial with the wrist-pin axis, perhaps the crank's thrust clearance is too loose for whatever reason? Thanks guys, all this information is great. The plugs were NGK but I can't remember the number, next time I'm over I'll confirm. Maybe it running rich was what kept it from turning into a grenade! I think they were a BP6ES. Rob, the pressure plate was a roadster one, I don't know about the collared mains or the clearances. I'll report back once I've chatted to the engine builder. That is what I used to do also, warm the car on hot plugs, then change for the combat episodes. I found at the Hillclimbs, I would change plugs at the top, so I could run down on hot plugs and not foul the race ones. Took me a couple of years to figure that out...duh....1st run of the day was great, then kinda ratty for the rest.